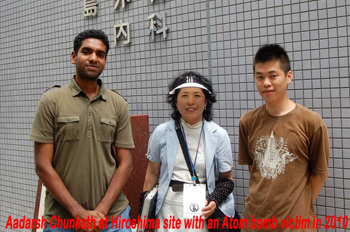 There was a critical juncture in our life in the year 2004. 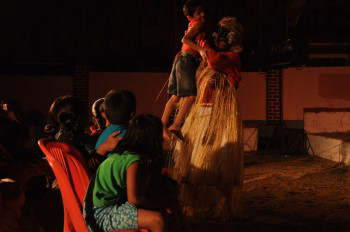 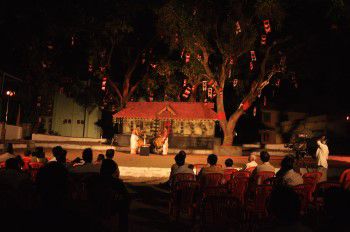 We thought of doing something for the sustenance of nature through theatre arts, as it is the common medium in which three of us have been conducting studies and research. 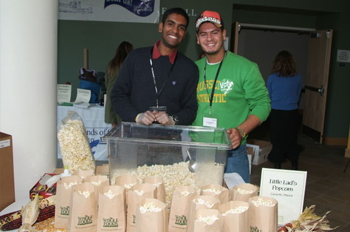 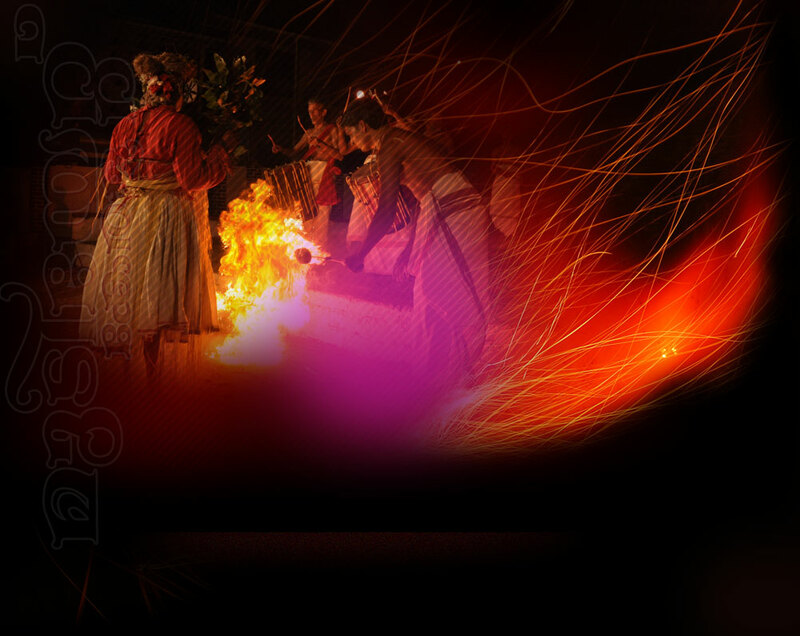 Being professionals in the field, we were able to present the artform with all its uniqueness and intricacies. 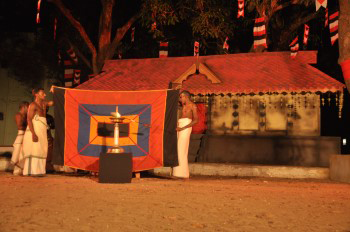 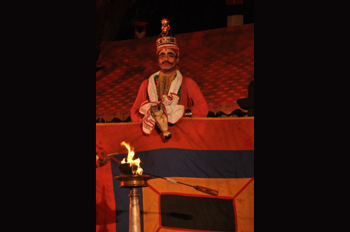 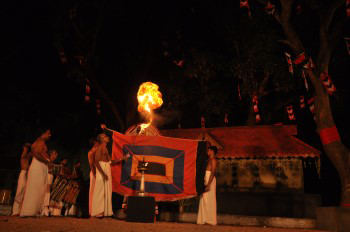 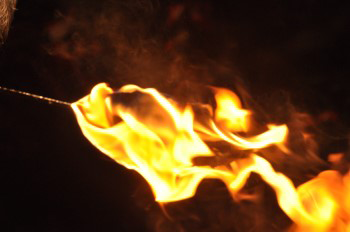 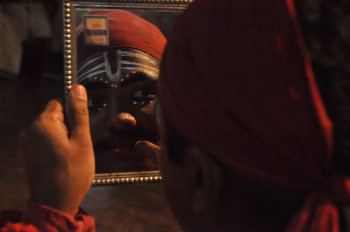 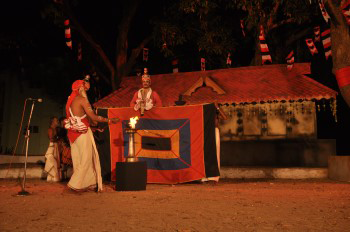 The message of Mudiyettu conceives the basic idea of a Malayalam saying: "Kavu theendiyal kudivellam muttum". 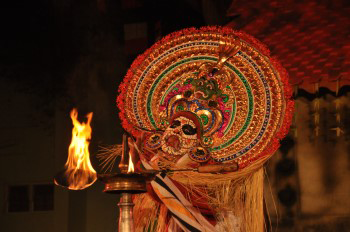 "Destroy the kavu and the village will thirst to death". 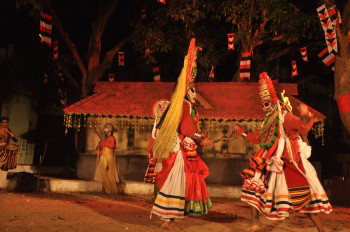 Kavu is basically a stretch of land with virgin vegetation, which is preserved and believed to be the abode of Goddess Bhagavati or Kali. 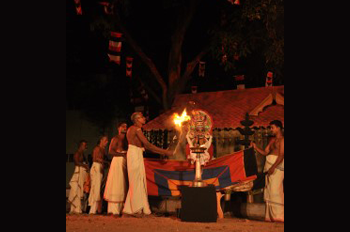 It is the natural habitat of the flora and fauna with a shrine, placed in its centre and worshipped with extreme devotion. 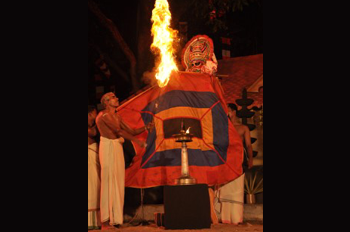 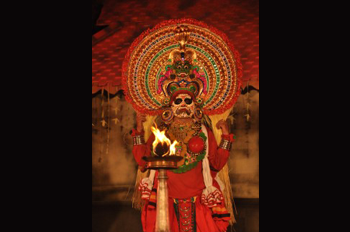 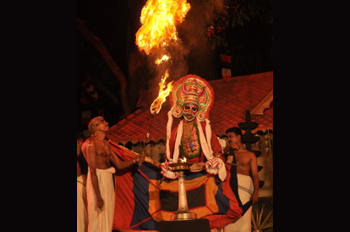 The Bhagavati Kavu is always protected from human encroachment for the peaceful co-existence of the eco system. 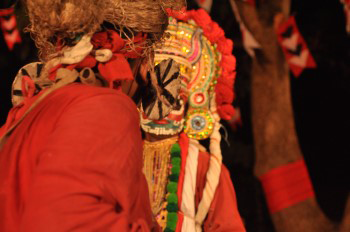 The villagers in the vicinity never face scarcity of water because of this thick vegetation. 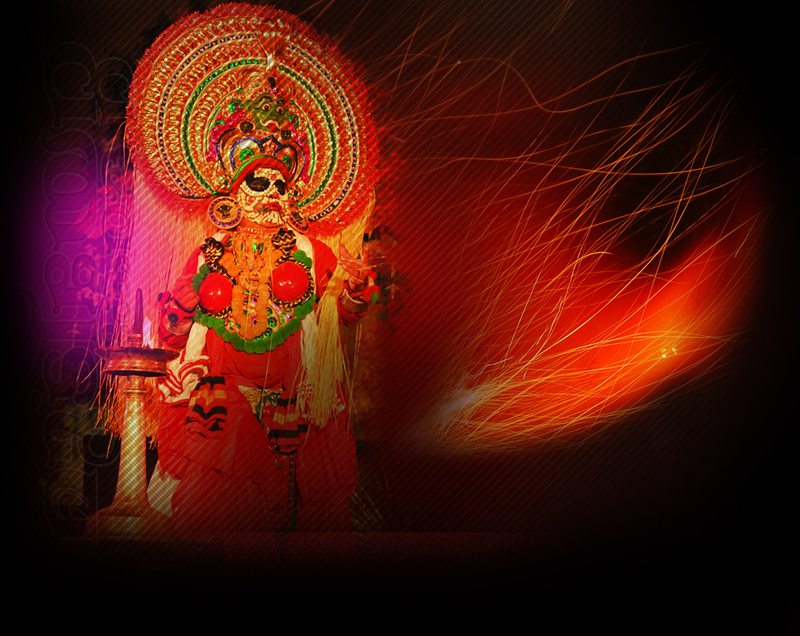 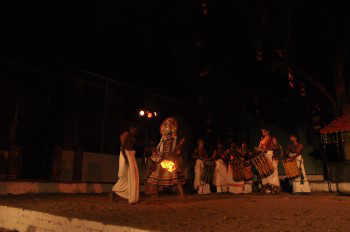 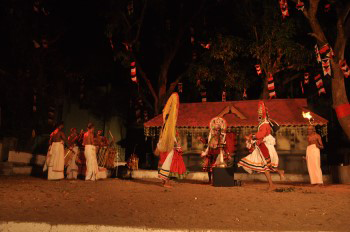 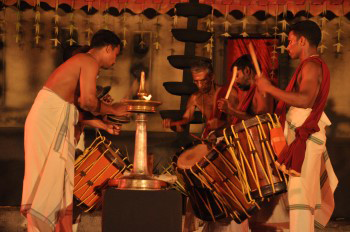 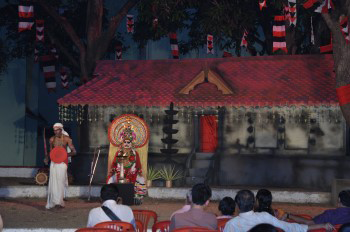 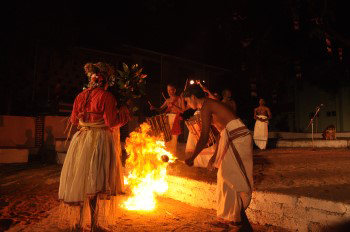 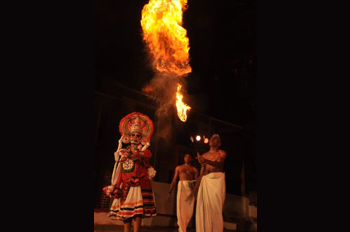 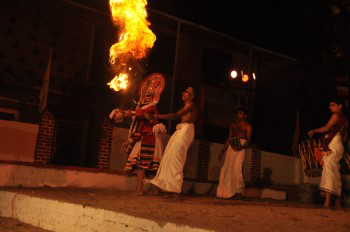 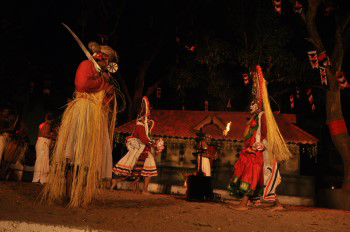 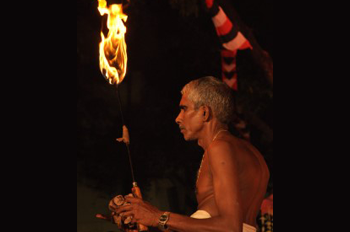 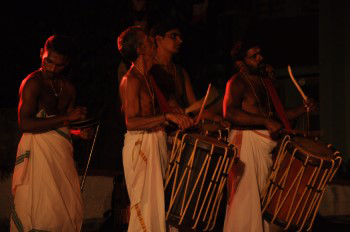 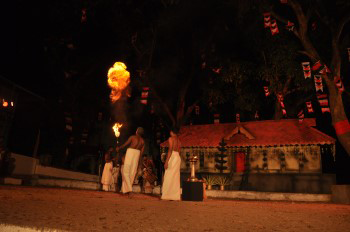 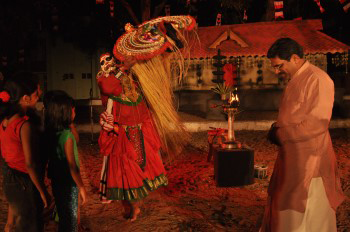 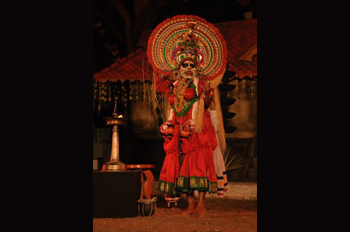 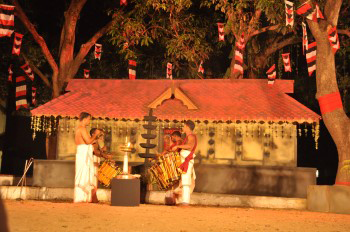 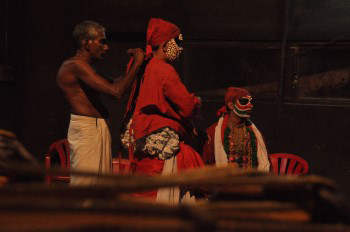 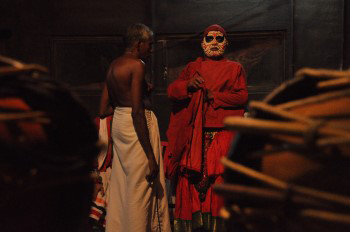 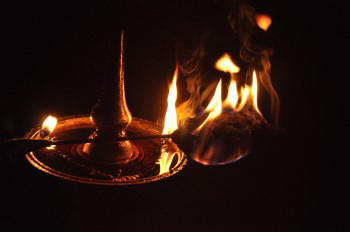 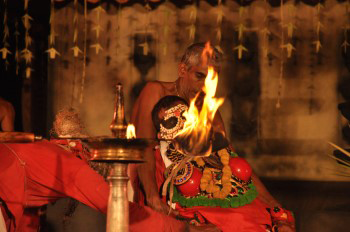 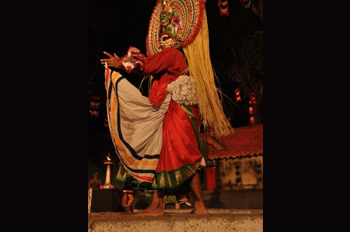 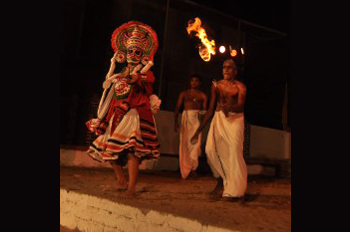 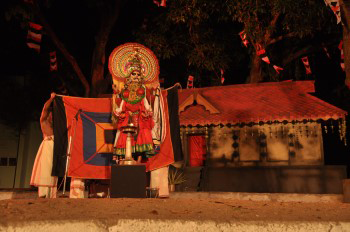 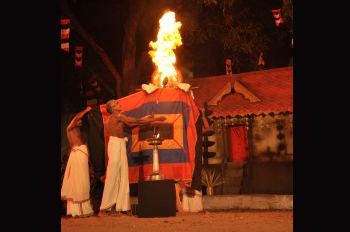 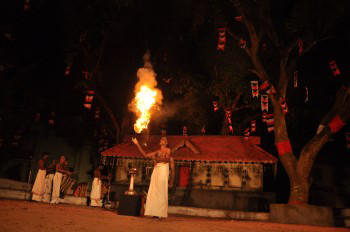 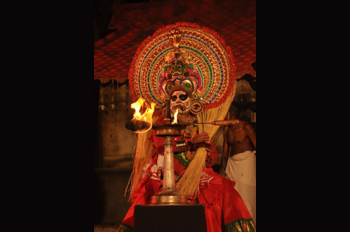 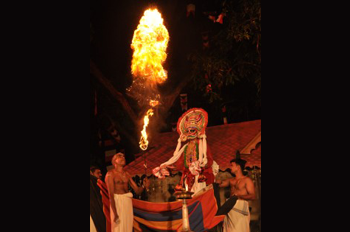 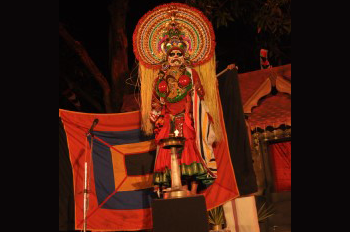 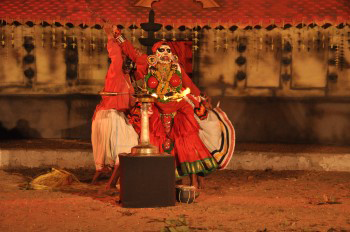 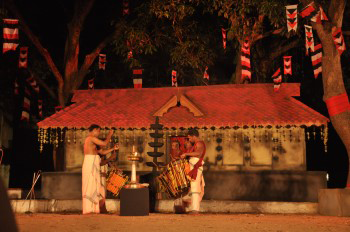 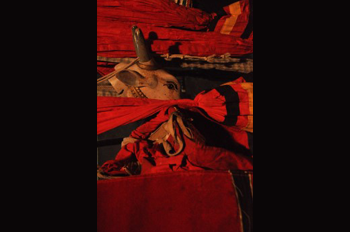 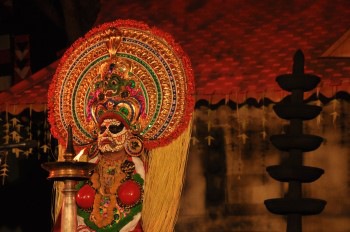 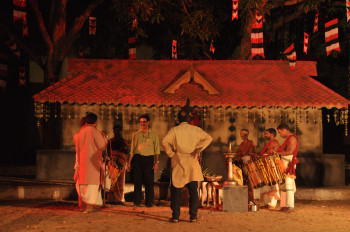 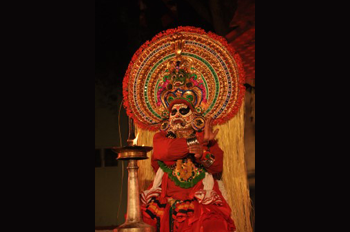 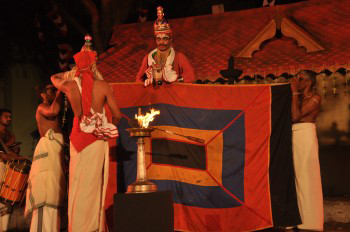 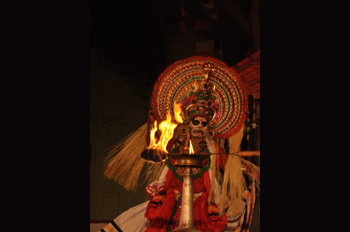 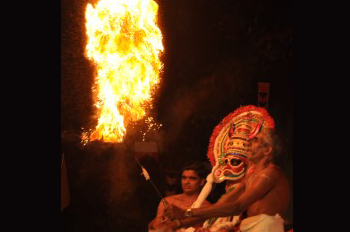 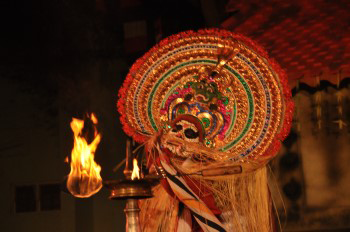 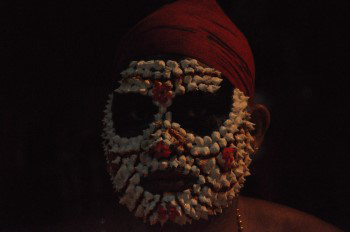 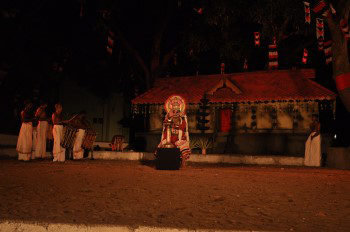 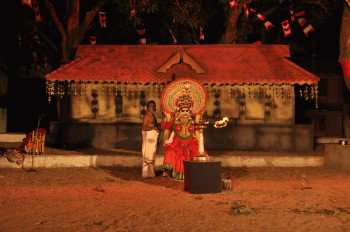 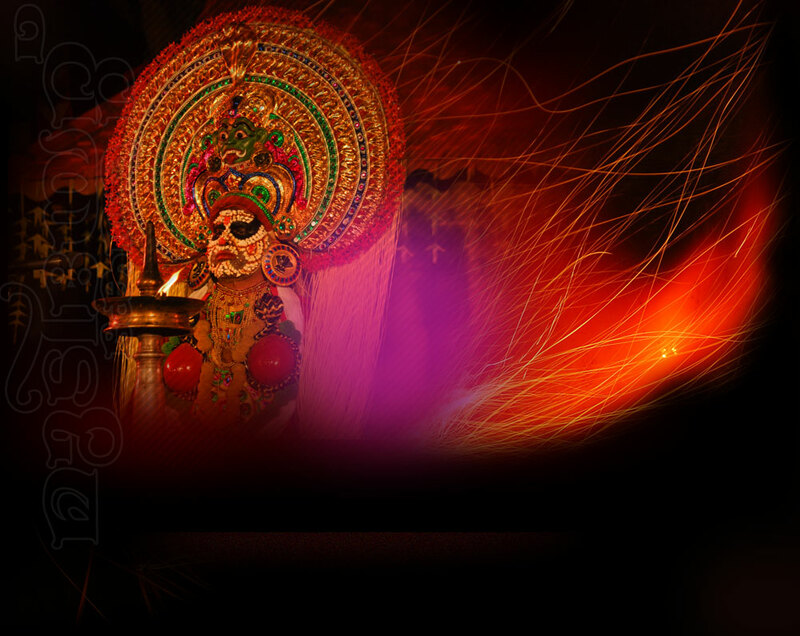 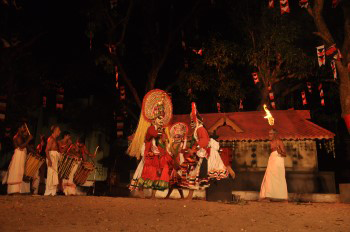 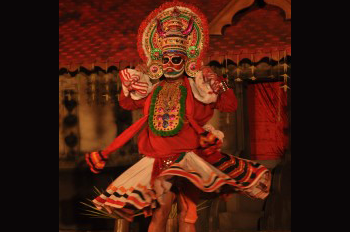 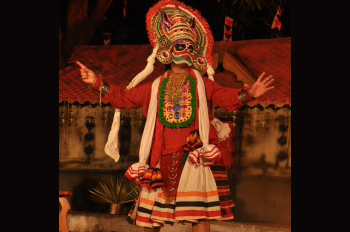 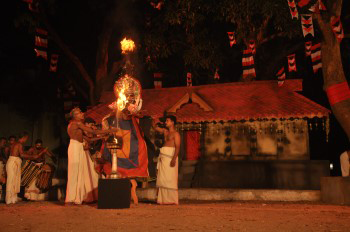 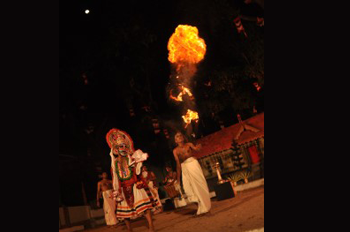 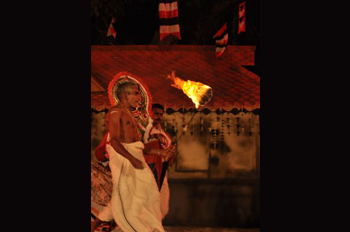 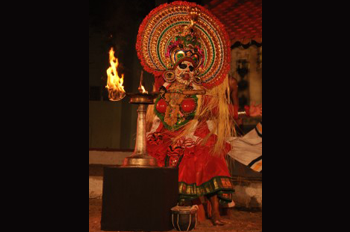 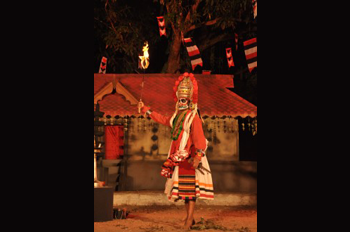 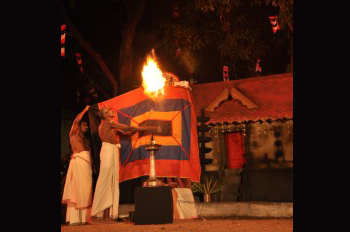 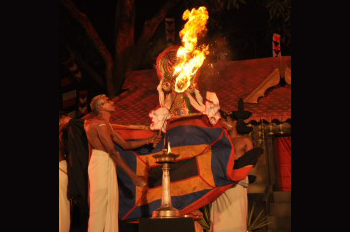 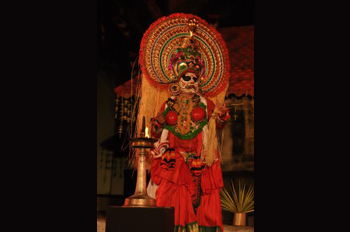 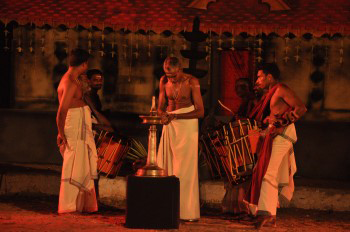 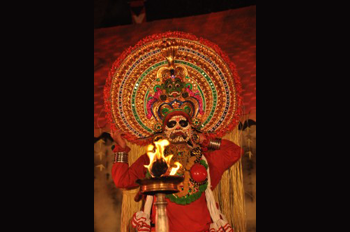 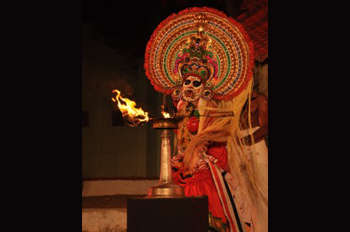 Mudiyettu is performed in front of these 'Bhagavathi Kavu's. 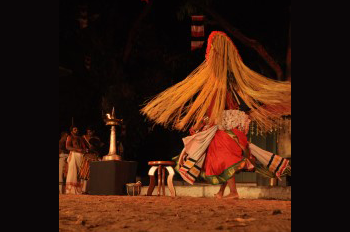 Thus performance of Mudiyettu indirectly provides protection for eco system and helps to develop healthy habits for a life of sustenance. 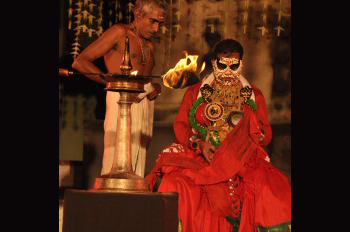 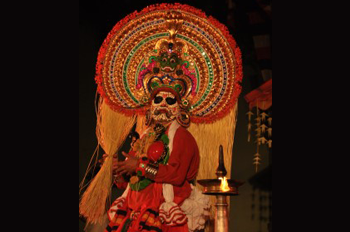 I have been attracted to Mudiyettu since 1976 with inspiration from my mentor Prof. G. Sankara Pillai, a Guru of Modern Malayalam Theatre. 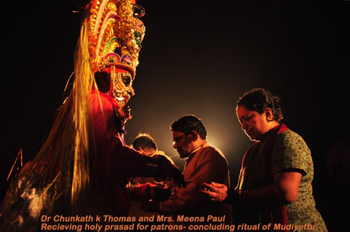 My partners in the project Mrs. Meena Paul, a senior research fellow in the Department of Culture, Govt. 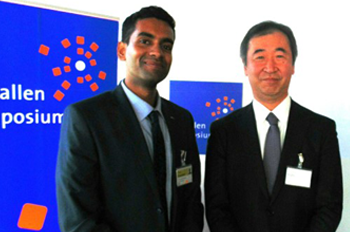 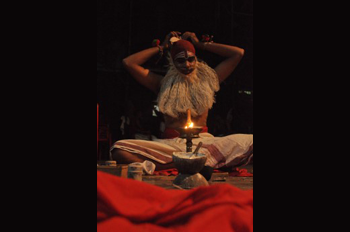 of India, and Mr. Aadarsh Chunkath were also conducting studies in this artform. 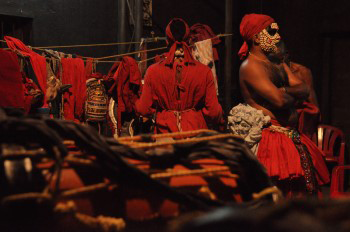 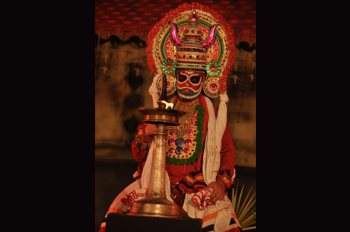 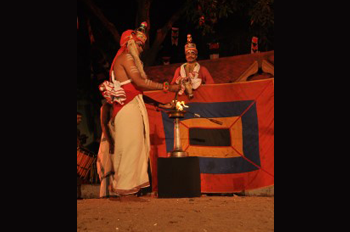 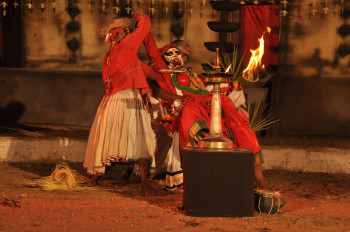 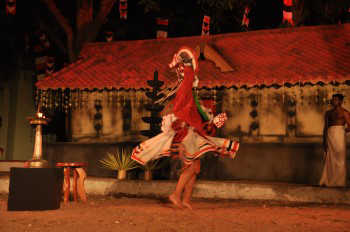 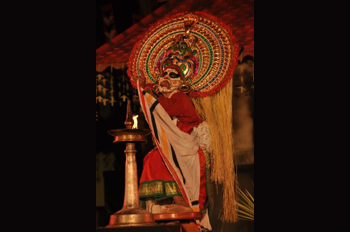 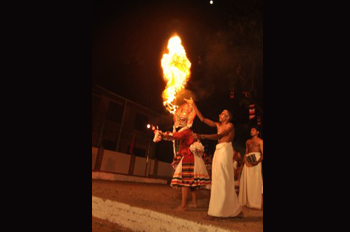 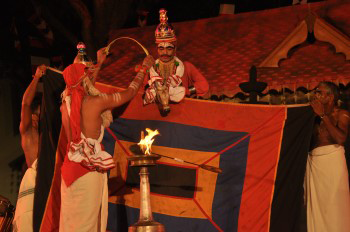 A thorough study in the historical, anthropological and social aspects of Mudiyettu was the base of our success to bring out this artform into limelight.